For the first episode of 2014, we discuss how the tools that we use shape the way we use them. We also talk about the photographer/subject relationship and discuss how to better connect with the people you are photographing, which may even inspire Bill to take on a new project. Master vs. Mentor – one is about status while the other is about a relationship. 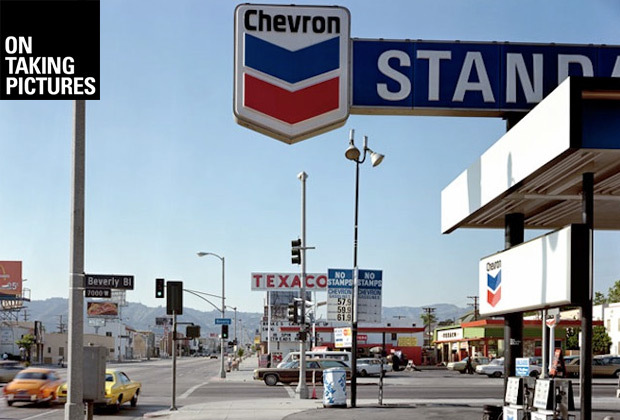 Stephen Shore is our Photographer of the Week. Squarespace Use the coupon code FANCYPANTSBILL at checkout to save 10% on your order. Buying books and products from Amazon via links on Faded + Blurred helps support the site and allows us to keep bringing you great content without ads. On Taking Pictures #88: Didn’t You Hear My Inner Monologue? For the last episode of OTP in 2013, we discuss looking back to look forward. We look not at creating resolutions as much as mantras, concepts to drive us ahead and allow some wiggle room for the things that don’t work out exactly the way you think they will. Also, we look at ways to refine/expand the OTP G+ Group, which has now crossed 800! Iconic photojournalist Steve McCurry is our Photographer of the Week. Thank you so much for your time, your energy and your willingness to let us wrestle with the things we do week after week. We couldn’t do it without you. HostGator Use offer code PICTURES12 for 30% off your order. On Taking Pictures #87: I’m Wearing Tap Shoes? This week is all about you, the listeners, as we try to answer some of the questions you’ve asked via email, twitter and the Google+ group. We also talk through some camera and photo related news. Conceptual portrait slash fashion photographer, Miss Aniela is our Photographer of the Week. This week, we talk about projects, specifically long-term projects and how the full value of them (on both sides) often isn’t fully realized until you’re well down the timeline. Also, who decides what art is important, or even good for that matter? Should “good art” (whatever that means) define the current culture or reflect it? Plus, 19th century French photographer Charles Marville is our Photographer of the Week. Help us out! If you enjoy listening to On Taking Pictures, please take a minute and help us out. Vote for OTP in the2013 Stitcher Awards. There are a ton of categories, but we think maybe Society & Culture is the best match…well, that and Best Overall, of course. Thanks!